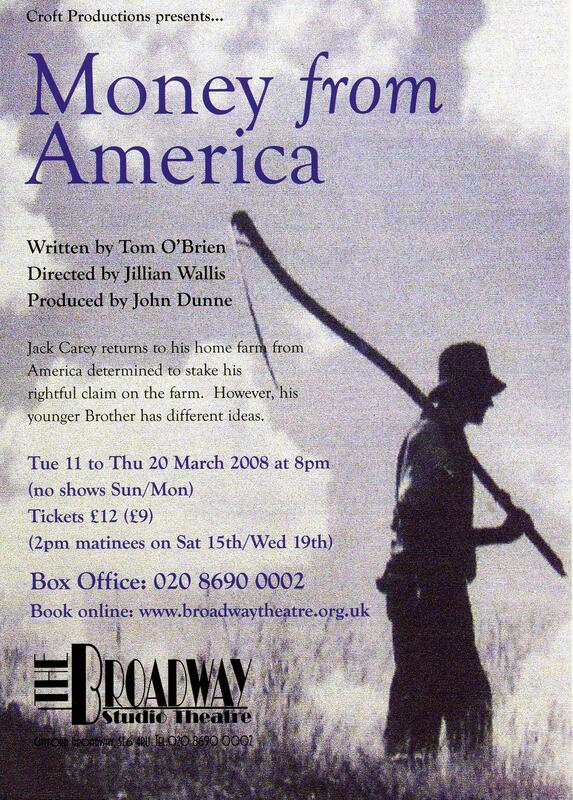 Tom O' Brien's humorous and gritty play looks at jealousy and remorse in a rural Irish setting. Jillian Wallis directed the premiere production for Croft Productions (now London Irish Theatre). This premiere production at a London venue enabled Jillian Wallis to work with a company of committed actors and writers, largely from the Irish diaspora. A review by extraextra.org said the show was "enjoyed intensely" by the audience at Catford Broadway studio theatre where it had a 10-day run. 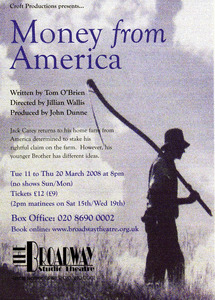 Croft Productions (London Irish Theatre) later re-produced 'Money From America' at the Old Red Lion.